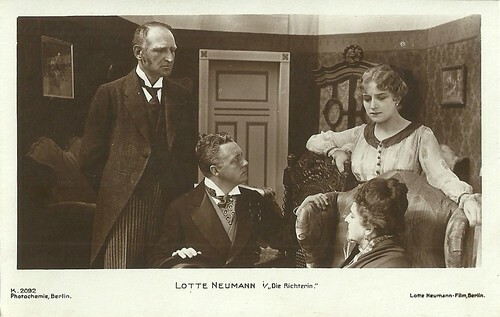 In the silent German melodrama Die Richterin/The Judge (Paul von Woringen, 1917), Lotte Neumann stars as a young woman who brings tragedy to her fiance and herself by being a moral judge. 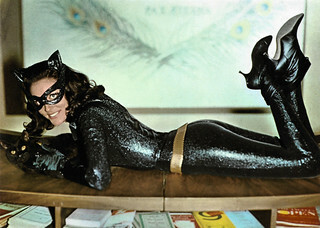 Neumann produced the film herself for her own company. 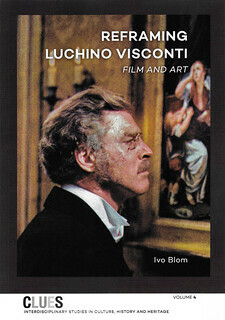 The postcard series was published by the well-known Berlin firm Photochemie. German postcard by Photochemie, Berlin, no K. 2092. Photo: Lotte Neumann-Film. Publicity still for Die Richterin/The Judge (Paul von Woringen, 1917). 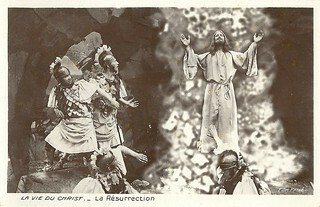 German postcard by Photochemie, Berlin, no K. 2093. 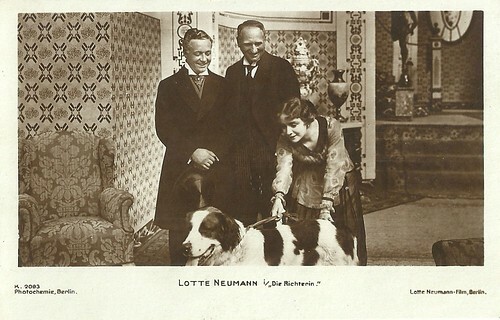 Photo: Lotte Neumann-Film. Publicity still for Die Richterin/The Judge (Paul von Woringen, 1917). Fritz Rönninger (Carl Clewing) owns a large printing works. One day, the businessman falls in love with his neighbour's daughter (Lotte Neumann), who was brought up in strict order by her father (Magnus Stifter). Fritz turns out to be a kind and sincere candidate for her favour, and so one day the girl agrees to his request to marry him. Since Fritz does not want to go into marriage with a lie, he admits her a misstep, but one which took place a long time ago: in his youth he had once falsified a check and went to jail. The strict paternal principles of custom and morality have turned Rönninger's future bride into a moral judge, and so she lets the upcoming marriage burst at the last moment. Deeply saddened, Rönniger decides to give up his previous life completely. He sells his company and goes to Monaco with his new lover. There he leads a licentious life, probably only to numb his painful loss. When he is finally broke, Fritz kills himself. In his farewell letter he blames his 'moral' bride of yore on his downfall. She had 'judged' him with her unforgiving morals. As she reads the letter, she realises her injustice towards Rönninger and also takes her life, by drowning herself. 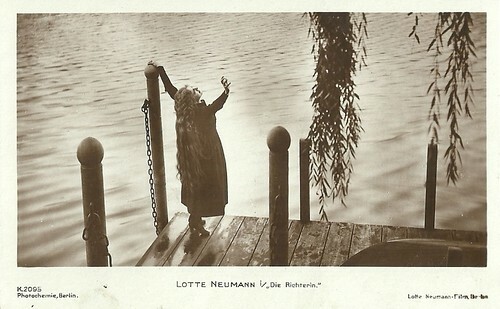 Die Richterin was produced by Lotte Neumann herself and shot at the Mutoskop studio in Berlin-Lankwitz. It was the fourth part the Lotte Neumann-serie. The script was by Hans Land, pseudonym of Hugo Landsberger. In October 1917 it was presented to the German Board of Censorship and quite soon after it was released. IMDb dates the film in 1918 because of the premiere of the film in Hungary on 28 January 1918. German postcard by Photochemie, Berlin, no K. 2094. Photo: Lotte Neumann-Film. Publicity still for Die Richterin/The Judge (Paul von Woringen, 1917). German postcard by Photochemie, Berlin, no K. 2095. 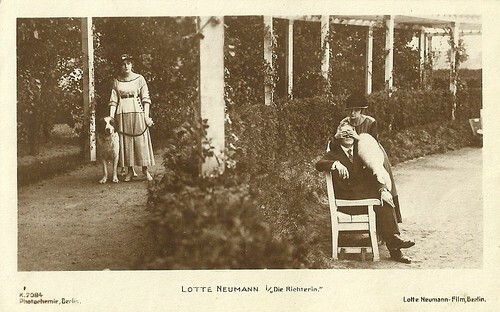 Photo: Lotte Neumann-Film. Publicity still for Die Richterin/The Judge (Paul von Woringen, 1917). Sources: Wikipedia (German), The German Early Cinema Database, Filmportal.de and IMDb.